Sun., Sept. 2, 2018, 5 a.m. In times like these, it is important, maybe crucial, to draw on the words of one of the best baseball minds of all time. Before he could redeem himself from the bowels of Shawshank Prison, Dufrense had to rely on a word so foreign to Mariners fans right now, it might as well be written in ancient Aramaic. “Remember Red, hope is a good thing, maybe the best of things, and no good thing ever dies,” Dufrense told his best friend stuck behind those fictional walls. Dufrense hammered his way through and made it to the promised land. Maybe the Mariners, encased by their inability to break through to the playoffs for going on 17 seasons, can too. Seattle fans are among our best friends, so like Dufrense, we are here to offer you some of that good thing, maybe the best of things. Yes, the future looks bleak. The Mariners entered this month 4 1/2 games back in the wild-card race. But if we reach back into the past, look at some examples, we may be able to help your hope survive. Baseball’s past shows time and again September miracles do happen – and can happen in Seattle. From the 1938 Chicago Cubs – seven games back on the first of September – to the 2013 Cleveland Indians – 8 1/2 back – teams have kicked it into gear, won more than 20 games in the last full month of the season and reached the postseason. It is possible. There is hope. Those Cubs will tell you that, if any of them are still alive. (There is little hope of that.) They were in fourth place behind the Pirates, Giants and Reds. Like the M’s, it looked hopeless. Only five years ago, the Cleveland Indians entered September 8 1/2 games behind the Tigers in the American League Central and 4 1/2 games behind the Rays for the final wild-card spot. Sound familiar? 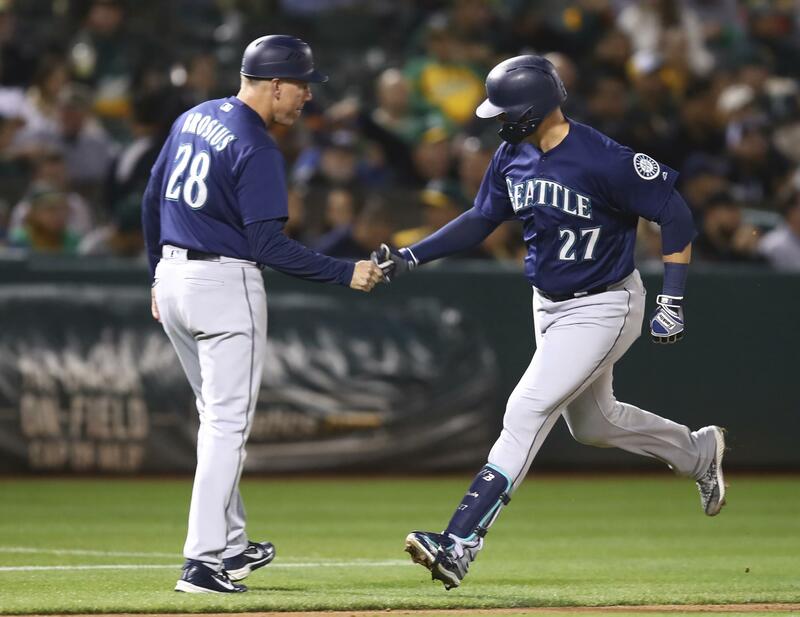 In between there have been at least another 10 instances of teams entering September nearly as many games out of a postseason spot – and in many cases, more – as the Mariners are and then rolling to a playoff berth. The 2011 Rays were 7 1/2 games behind the Yankees in the wild-card race. They were nine games behind the Red Sox in the East. Boston collapsed down the stretch, Tampa was just good enough and earned the wild-card spot. The point is simple. There is hope, hope another film character, Bluto Blutarsky, would recognize. When the 1995 M’s were down double digits to the Germans after Pearl Harbor … wait, that’s not right. Remember 1995? Remember how the Mariners were 13 games back of the Angels on Aug. 2 and 12 1/2 on Aug. 20? You may not remember they were still 7 1/2 back entering September. It may not have been the best comeback in history, but it shows there is hope. Hope like the Colorado Rockies needed in 2007 when they won 14 of their last 15, including a playoff, to make the postseason. Or the 1978 Yankees, who were 22-8 in September, overcame a 6 1/2 game deficit and went on to win the World Series. It would seem Dufrense was right. Hope, especially in baseball, is the best of things. But is it a Mariners thing as they try to break a streak that reaches back to near the last century, putting together their Hollywood-like ending? Or did Red actually have it right? “Let me tell you something my friend,” he lectured Dufrense one day in the yard. Published: Sept. 2, 2018, 5 a.m.